Scientists say patients with unresectable pleural mesothelioma who are going through chemotherapy may live longer if treated with the monoclonal antibody amatuximab. Higher amatuximab exposure in combination with chemotherapy was shown to be associated with longer overall survival. An international team of researchers in the UK and the US have just published a new study highlighting the life-extending potential of amatuximab in pleural mesothelioma patients on chemotherapy. Surviving Mesothelioma has just posted an article explaining the new research. Click here to read it now. 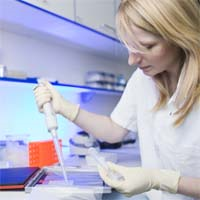 Researchers with the National Cancer Institute, biotech company Pennsylvania-based Morphotek, and the European Knowledge Centre in Hertfordshire, UK evaluated existing studies on amatuximab as a mesothelioma treatment to evaluate how the drug moves through the body of mesothelioma patients and its impact on survival. “In patients with malignant pleural mesothelioma, higher amatuximab exposure in combination with chemotherapy was shown to be associated with longer overall survival,” writes study author Anubha Gupta, a clinical pharmacologist with the European Knowledge Centre. The study, published in Cancer Chemotherapy and Pharmacology, found that the drug combination also extended the time it took for mesothelioma tumors to start growing again after treatment. “Although mesothelioma patients and families may be rightfully frustrated with the limited success rate of standard chemotherapy, this and other recent studies are a hopeful sign that, with the help of agents like amatuximab, chemotherapy can be a more viable treatment option for this deadly cancer,” says Surviving Mesothelioma Managing Editor Alex Strauss. For more information about the study and about amatuximab, including an ongoing clinical trial still recruiting mesothelioma patients, see Amatuximab May Extend Survival for Mesothelioma Patients on Chemotherapy, now available on the Surviving Mesothelioma website.